We spent Sunday morning restocking our empty larders and the afternoon cooking up good eats, so it just made sense to do our weekly portrait in the kitchen! For the record, we made: cream of broccoli soup; butter glazed rainbow carrots; grain-free, sugar-free banana berry muffins; and dairy-free, sugar-free chocolate/almond/coconut ice cream. 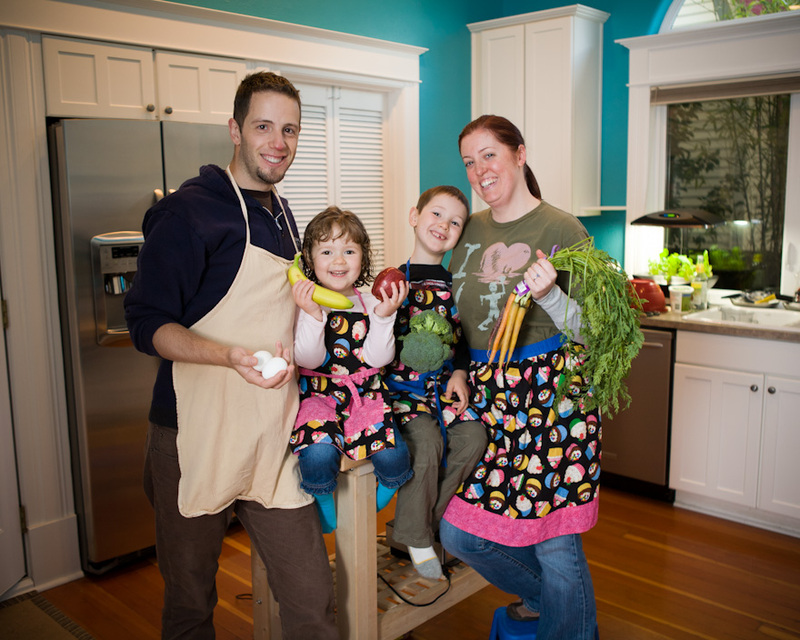 Cute picture but Ben needs to get with the program, join the party and get a matching apron, too. I kind of felt a bit sad for you Ben….. I agree with the apron issue.. Ben and Will need to match and Lucy and Becky. Way cute picture. Thanks for sharing.